Macedonian artist Bobi Serafimovski became Artist for the month of February of a very influential, specialized radio in San Francisco, USA. smoothjazzbeachradio.com broadcast and promote music artists from around the world of smooth jazz music. Louis Marx, owner of radio, is known promoter and a great connoisseur smoothjazz music. Macedonian composer and multiinstrumentalist Bobi Serafimovski became an artist for the month of February of highly influential, special Smooth Jazz Beach Radio located in San Francisco, United States. This means that his original music will get special treatment in the upcoming period, the author will climb a ladder above building his international career. Music Serafimovski launched in the U.S. Thanks to the new composition “Piano Revolution” and music from their third album, “Without Borders” which last year as a digital version found on the U.S. market, Bobby Serafimovski was named artist of the month February Smooth Jazz Beach Radio in San Francisco. It is a specialized, highly influential radio station that broadcast this type of music, and beyond which his authority stand owner and leader Louis Marx, and an excellent guide in this area. On Air Personality, Louie Marxx is very famous in America as a man who knows the great occasions in the area of confusion jazz music. A person who has contacts which promoted world-famous jazz artists. The windows are open in that we have internet, communicate frequently with them, listen and thus he learned of my album “No Borders,” a very positive reviews for it, normally I promoted it on his radio and what the audience loved my music and himself a great post, I am to my great satisfaction, artist for the month of February Smooth Jazz Beach Radio in San Francisco, California. “On Air Personality Louie Marx” is very famous in America as a man who knows the great occasions in the area of smooth jazz music. A person who has contacts which promoted world-famous jazz artists. The windows are open in that we have internet, communicate frequently with them, listen and thus he learned of my album “No Borders,” a very positive reviews for it, normally I promoted it on his radio and what the audience loved my music and himself a great post, I am to my great satisfaction, artist for the month of February Smooth Jazz Beach Radio in San Francisco, California, “says Serafimovski. 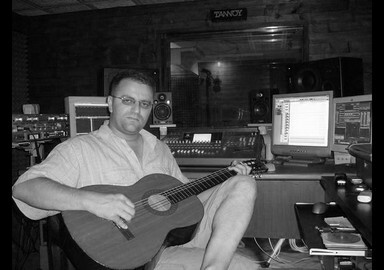 Serafimovski in his own studio in Kumanovo, a few months ago working on compositions for the successor to its first announcement for the international market “No Borders” which just “Piano Revolution” is one of the singles login. The song slowly its way to listeners, and our author, pending completion of the issue, believes that the handsome reception will run and its materials made for film and television projects. “Meanwhile, the main goal in my music career placement of film themes which also are already olmeka Music, where he offered my works, the contract we signed more than two years. There are new contacts with new promoters who promote and represent the world’s composers specializing in film music and I hope that 2012 will be a fruitful year for me as an author, as a musician with a great promotion for themselves, so of course promotion Republic of Macedonia in the world, “says Serafimovski. Otherwise, the needs of their recent concert presentations Bobby Serafimovski recently formed his own trio and announces enhanced activity on the world scene. “I had communication and contacts with Rod Lucas who promoted me in London. The man just wants to be a broker and arrange some of my performances in the UK. All this may be happening sometime in spring or early summer, and some contacts with jazz and blues festivals in America, which will be held in June, July and August 2012, “says Serafimovski. Tune in to www.smoothjazzbeachradio.com to hear more of Bobi Serafimovski’s music from his latest CD, “No Borders”. 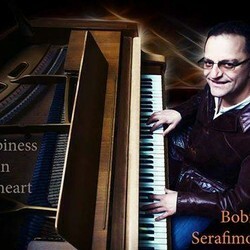 Amazing musician and smooth jazz artist Bobi Serafimovski launch its new single "Happiness In My Heart", which had its promotion in the UK, in the popular ???????????? Richard Edwards. The single has already received rave reviews from promoters in the U.S. and Britain, and well accepted by the general public. This is the second song from his first English-speaking album, entitled "No Borders", which began their ascension up the international charts with the title track "Sunrise On the Beach". Yesterday the US-Canadian market appear first instrumental album "Without Borders" (But Borders) Macedonian musician Bobby Serafimovski. The album was released label from North Carolina "Yu-Es Music enterprise-New Jazz." Kumanovo composer and singer, Bobby Serafimovski recently signed a contract with the American label "Mac eveni Records", which will use 70 of his works for film. Their invitation Bobby a month spent in the United States and according to the contract, beginning in February next year two of his compositions for the film will find a new feature film in American production. From Monday, January 31, the American record market officially will appear on the album "But borders" famous English guitarist, composer and producer Bobby Serafimovski. This his long-awaited CD album, which, he says, will completely change his life, published "U.S. Music Enterprise - U.S. confusion jazz" of North Carolina, under the leadership of Mrs. Mary Ann, who is currently his manager for the U.S. . It is smutdzhez-album instrumental topics, including potential hits songs "Sunrise on the beach" ii "Faith in love". - With great pleasure and joy I want to inform all that Macedonia supported me all these 15 years, I have been in music leads, that the issuance of this my international album began to realize my American dream, many believed and worked round the clock its fulfillment in reality. Except in the U.S., the album will be available in Canada, but also around the world via online sales website Amazon.co.uk and other online music stores. I am very pleased with the album's sound and overall appearance, professional attitude to my manager, Mrs. Mary Ann. My next target will be one of these songs on U.S. ??????? be used as music in an American film. I believe from my purchased 84 works, some will soon be part of any viskobudzhetna film story, which will take care of my second manager in the U.S., "Sony Music pikchr" said Bobbie Serafimovski. Recently this our famous musician in the United States signed an agreement on cooperation with famous menadzhmentkska and publisher of the Los Angeles "Mack Avenue Records." This company represents the most famous names from the world of jazz and blues music in America, and among other collaborating with Clint Eastwood's son, Kyle Eastwood, then Stanley Jordan, orchestra of County Bejzi Richard Elliott, Rick Braun and many others. "Music on Mack Avenue" licensed more than 70 of his compositions, which are already offered well known film and music supervisors in Hollywood and across the U.S..
- I sincerely believe in what they make, but sometimes the realization of the dream is a long process that requires a lot of denial and sacrifice. At the end when the belief in yourself, perseverance and creativity will certainly make the first step towards the realization of dreams, an important point is the happiness you smile. Is it happening dreams become reality - told us Serafimovski. Bobi Serafimovski was named musicians in February by the most influential jazz radio Smooth jazz beach radio. Bobby gets this recognition and special treatment on the radio and his music will promote this radio in the future and allow international career. Our known musician Bobby Serafimovski first English musician who was a guest on the show popular English radio presenter Richard Edwards. This host is known as one of the few in its emissions invites exclusively stars of the British music scene that produce quality music and now in his show as presenters appeared many British stars. Rarely makes concessions to foreign musicians, no matter how popular worldwide. Richard on his show promoted the single on our musician "Happiness in my heart" and announced as a musician of whom have yet to expect a lot in the field of jazz music. After the successful album "No Borders" and the title theme "Sunrise on the beach", Bobby Serafimovski continues to build his career outside the country, primarily in England and America. He began to work with two well-known jazz musicians. James Kolah jointly made the song "Luna stars". Joe Jander cooperated his album, where our Bobby played two of his compositions. Beat* Have you played in any other bands before? I have been in several bands, mostly local. Being a part of these bands gave me tremendous experience and helped me develop as a musician. Beat* How long have you been playing music? My parents enrolled me in a music school at the age of 7. It was there that I discovered my love of music. Beat* What instruments did you learn to play? I began with a clarinet in the music school. In time I progressed to the guitar and the piano. The guitar was always my most favorite instrument. Beat* Where did you grow up? I grew up in Macedonia, on the the Balkans in Europe and I live there now. Beat* What genre of music do you lean towards in your performances? I started out playing hit songs from the sixties, seventies and eighties. However, now I play a lot of the blues which is my favorite. Beat* Who are your major influences? I was mostly influenced by Jimi Hendrix, B.B. King, Eric Clapton, Gary Moore, Jimmy Page and a lot of the other masters of the guitar. Beat* How did you get into the music scene? I appeared with my bands where we had live performances. Beat* Have you met any famous musicians and how did that affect you career? I have not met in person any of the famous names that have inspired me. However, I have been to there concerts and that was a real pleasure. Beat* Does your Audience inspire you and do you like to interact with them? The audience is always the one that inspires you to give a part of your soul with every performance. Beat* What inspires your music? Beat* Do you have a record label? A couple of years ago I signed a contract with Mack Avenue Records and their brand MOMA where 74 of my works were licensed. In December 2010 I was contracted by US Music Enterprises and Mary Ann Wexler. Now, my first album in America “No Borders” has just been released by them and is available digitally. Beat* Are you a member of any music organizations? Yes, I am a member of the American association ASCAP through my publisher. Beat* What can you tell me about your instruments? (i.e., Are you subject to brand loyalty or will you play with whatever's available? What made you choose the instruments you have now? Was it cost or was it a style/model/brand/color preference? My favorite guitars are Fender Stratocaster, Gibson les Paul, and lately I am exploring new models. One should never stop looking for a good instrument. Beat* Where have you performed? I have had performances throughout Europe but my favorite one was in the US in Chicago. It was really exciting to play with great jazz musicians and a great audience. Beat* Tell us about upcoming shows for you new songs. I am really satisfied with the compositions that are to be found on my latest album, entitled “No Borders”. I have several favorite themes, but let the audience choose its favorite. Beat* What are your favorite and least favorite venues? My favorite places are the ones that inspire me to create new works. Family, friends, my studio sometimes the big cities with their motion create a special feeling. 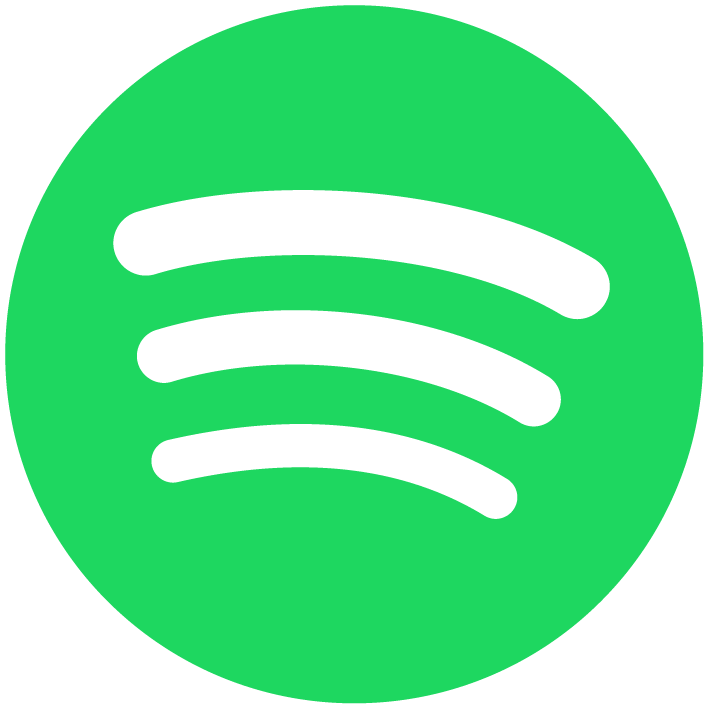 Beat* Which songs do you perform most frequently? Beat* Do you ever play any covers? Beat* Do you have a set play list? Yes, I have a repertoire of favorite composition that are an enjoyment to play on performances. Beat* Who writes your songs? I write all of my own music. Beat* What are the main themes or topics for most of your songs? I compose instrumental music, and film music. There are no lyrics in my compositions, however that does not mean that I will not compose with lyrics. Like I said my inspiration is daily life, love, sorrow, happiness …. Beat* Do you think these topics will change over time? Beat* Could you briefly describe the music-making process? There are no rules for the creation of music. It simply happens and comes when you least expect it… Deep from within. Beat* What are your rehearsals generally like? Yes with my band, rehearsals are a real pleasure. I like hanging out with my band friends. Beat* Do you have a set time each week in which you practice or are rehearsals more spontaneous? Mostly they are spontaneous without a predetermined time. 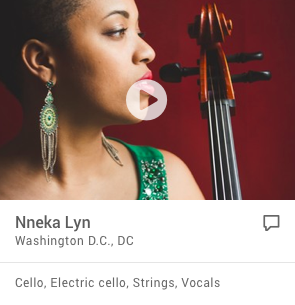 Beat* How has your music evolved since you first began playing music? When I started in the music school, I played classical music. Then, I began playing rock and pop. Now, I create jazz themes and new age compositions. I was fortunate to visit music school. I began with classical music, after words with rock n’ roll and I am also creating smooth jazz themes which show to be a success judging by good reviews. Beat* What has been your biggest challenge as an artist? My largest challenge is creating film music. I believe that I will have the opportunity to prove myself on the field. Beat* Have you been able to overcome that challenge? If so, how? I have still not yet overcome that challenge. As I said I have a feeling that good things will happen. Beat* What's your ultimate direction for your music? My goal is to place my works in movie projects as well as create instrumental smooth jazz tracks for my audience. Beat* What advice do you have for people who want to form their own bands or be in the music industry? My advice is to be persistent in what they have begun. If they believe in their music and dream, one day the dream might come true. 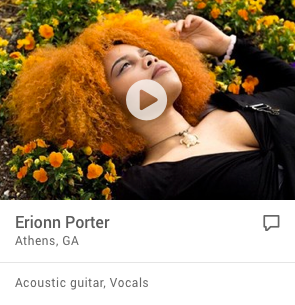 Beat* How can fans-to-be gain access to your music? My audience can hear and buy my first album “No Borders” on January 31st on iTunes, Amazon and cd baby. Beat* Do you have a website with sample songs or a demo CD? Beat* Is there anyone you'd like to acknowledge for offering support? I have support from my family as well as two wonderful ladies from the US, my manager and director of the publishing house US Music Enterprises – US New Jazz, Mary Ann Wexler and Lucille Hunt vice president of the publishing house Mack Avenue Records who is also the main editor of their music library Music On Mack Avenue. A big thanks to the editor of your magazine, Richard McCulley, who offered me this interview opportunity and to everyone who has contributed toward my success in my music journey. As a Composer, Producer, Arranger and Multi-Instrumentalist, Bobi brings a unique international flare and the flavor of Europe to Music on Mack Avenue. A native of Macedonia, a modern country in Southeastern Europe bordering Greece, his cultural roots and strong historical tradition are evident in his original compositions, film and TV scores. His music education started at a young age on the piano -- at school, the music council selected the clarinet to be his lead instrument. He dreamed of continuing to play piano -- yet in studying the clarinet, he discovered the beautiful tones and many virtues of the instrument. Later, returning to his first love he was classically trained on piano, and then picked up the guitar. His creativity and ear for all music encouraged him to explore various musical journeys and he was later influenced by popular music and began performing on guitar and piano in a variety of styles including blues, rock, pop and jazz. 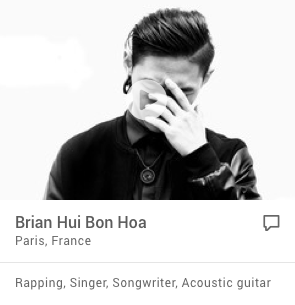 Bobi formed his first band at the age of 14, and began composing original music at age 19. His first single enjoyed success in Macedonia, and a year later his debut album was released. His follow up instrumental project "Too The Roots" was released in 2001 and published by Macedonian Broadcasting. Critically acclaimed, his talent and compositions made their mark in Macedonian music. Bobi continues to be in demand playing and recording with many notables across Europe. With three recording projects under the production of Macedonian National Radio and Television, Bobi continues to create music for the network. A talented and highly skilled composer and musician, Bobi strives for perfection and enjoys the challenge of introducing his music to film and television all over the world. He is currently recording his fourth album for release next year. You can sample many of his compositions through the MOMA library. Bobi Serafimovski is a composer, arranger, music performer, producer, and professional musician and multi-instrumental performer. Bobi comes from South-Eastern Europe from Macedonia, a country in the Balkans and has been playing piano since he was a little boy. HIs new cd "No Borders" is a taste of European elegance with pleasing and contemporary jazz and new age sounds. “No Borders” was the first cd that was published in the US in January 2011. “Sunrise On The Beach” and “Faith In Love” were very popular hits there and made the charts on several online radio charts. In the meantime, I collaborated with a few other musicians from the UK and US as a composer, arranger and guitar player. “Lunar Stars” which was in collaboration with James Colah from London, UK became #1 for most sales as a single on CD Baby which is the website for independent artists. Bobi also collaborated with US guitarist Robert Lee on a song “Brothers In Guitars.” Bobi appeared as special artist on Joe Yander’s “On The Side Street.” He composed many short compositions for lots of advertising and documentaries TV programs in Macedonia, his hometown. The major success story is that Bobi is composer and arranger for very famous singers from Bulgaria, Serbia and Macedonia. Some songs were viewed over 1.ooo.ooo times from the You Tube Channel which is a major accomplishment. - Composer - Arranger - Music Performer - Producer and - Music Recorder Professional musician and multi-instrumental performer Bobi Serafimovski was born in 1969. He comes from South-Eastern Europe from Macedonia, a country in the Balkans. His talent for music appeared when he was very little, which was noticed from his parents and they enrolled him in music schools. It is interesting to say that Bobi has always liked the piano, even before he got enrolled in the music school he had the opportunity to play the piano at one his father friend’s house. Words cannot describe the joy Bobi felt when he first played the piano. In the music school, the music council at the school decided for Bobi as an 8 year old to play the clarinet. Even though a little bit disappointed, he did however dream to play the piano, Bobi gradually discovered all the virtues and beauty of the sound of the clarinet. He begin playing that instrument, he continued to play the piano and started playing the guitar. "I couldn’t sleep for nights after I got my first guitar " says Serafimovski. He formed his first band when he was 14 years old, and from there he went on to many bands with his guitar. He continued to play the clarinet in his primary than continued in secondary music school. He than began to compose his own songs and at the age of 19 he issues his first single that was quite a success. The following year his debut album appeared for MRTV, after two years another album came out and in 2001 Bobi as a matured musician proves himself by issuing the instrumental album "Too the roots" that was published for the Macedonian Broadcasting and left a mark in the Macedonian music. Within these last few years Bobi as an author has been requested by several renowned music names across Europe. A special challenge for Bobi Serafimovski is Instrumental music, i.e. film music soundtracks. His great talent, knowledge and experience supported by the vast knowledge of playing several instruments, has characterized Bobi as a highly skilled film music composer. Bobi has been experimenting with traditional music, discovers jazz and his film music themes are about to shine as basis for future projects throughout the world. Undoable his great talent and his creativity in creating of film music was discovered by the music world people and the renowned Publishing and Management company from the USA MACK AVENUE RECORDS which with its new brand of family of musicians and artists MUSIC ON MACK AVENUE involve Bobi Serafimovski as a artist of this company in the Film music section. The signed contract with Mack Avenue Records, Bobi expects to realize successful cooperation that his music themes find the true path towards future film projects. Bobi often states "I am a great optimist”, „You can never tell"... Maybe we’ll see each other on the next Oscar nomination... With God’s help”. "Until then I will travel through the world of music, composing, emotions filled with love and honesty”. YOU TUBE - LIFE PERFORMANS " SUN OF LOVE "